Celebrate National Waffle Day on August 24th with two of the greatest ingredient: BACON and CHEDDAR CHEESE! This recipe from FamilyFun Magazine offers the perfect combination of savory and sweet. 1. Heat oven to 200°F and preheat the waffle iron. In a medium bowl, help kids measure out and whisk together the flour, sugar, baking powder and baking soda. In another bowl, whisk the milk, melted butter, and eggs until incorporated. 2. Stir the wet ingredients into the dry ingredients until combined, then stir in the shredded cheese and crumbled bacon. 3. 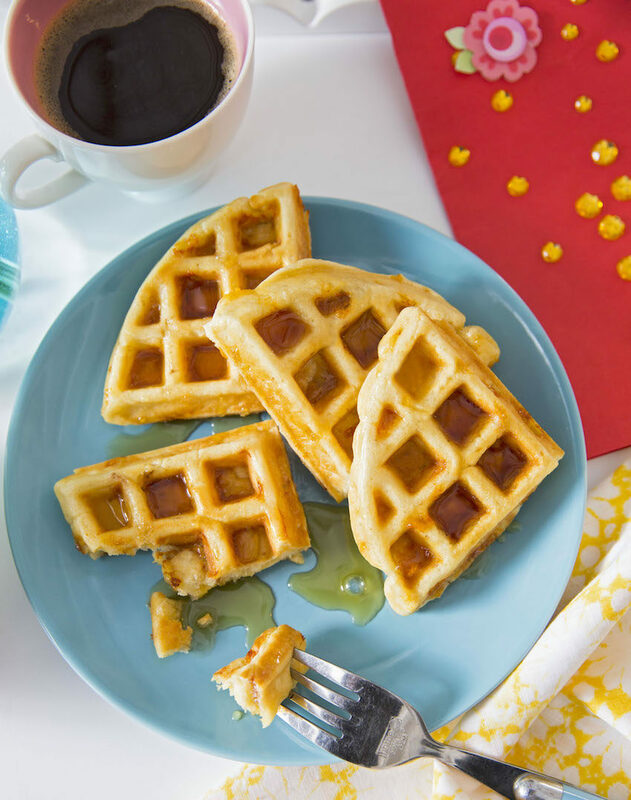 Pour about ½ cup batter onto the center of your waffle iron and cook until golden and fluffy. Transfer the waffle to a baking sheet and keep warm in the oven. Repeat with remaining batter. Serve with maple syrup.